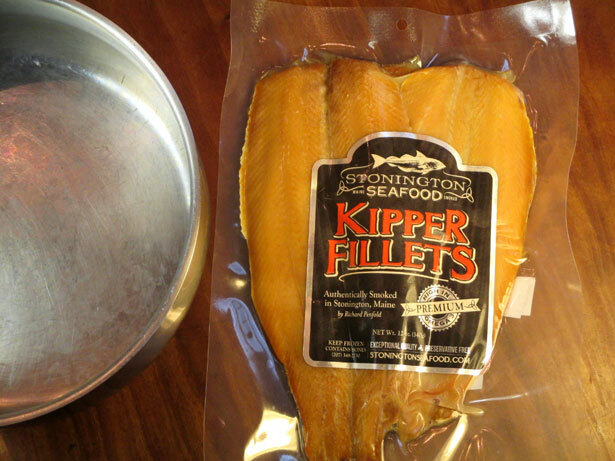 Richards kipper fillets are really easy to prepare in just six minutes. 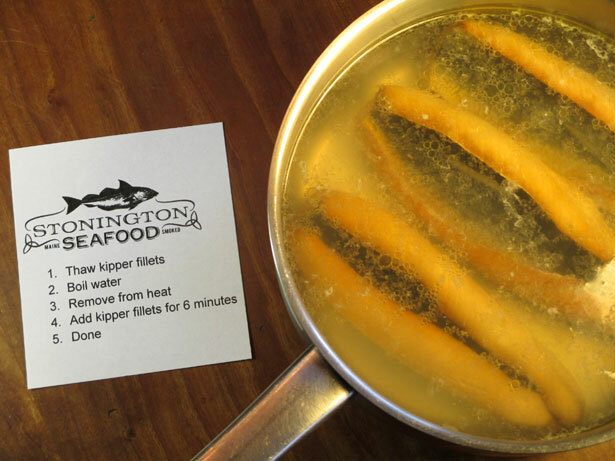 When you follow his cooking method the saltiness will be perfect and your kippers will be juicy and delicious. Boil the water in a pan and then turn off the heat. 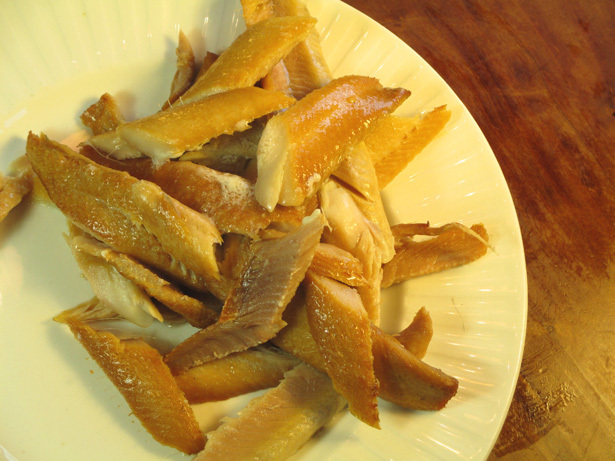 Drain the kippers and gently remove skin, it pulls off easily. This is the amount from a single 12-oz pack, plenty for two servings. 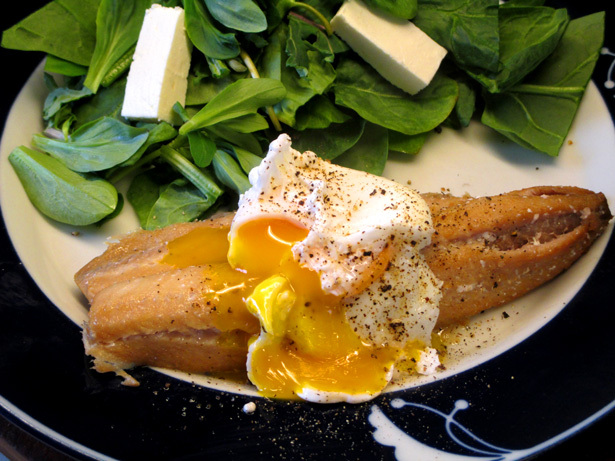 Serve Kippers with a poached egg on top and some thick-cut warm-buttered toast. and some goat cheese, very delicious and healthy! 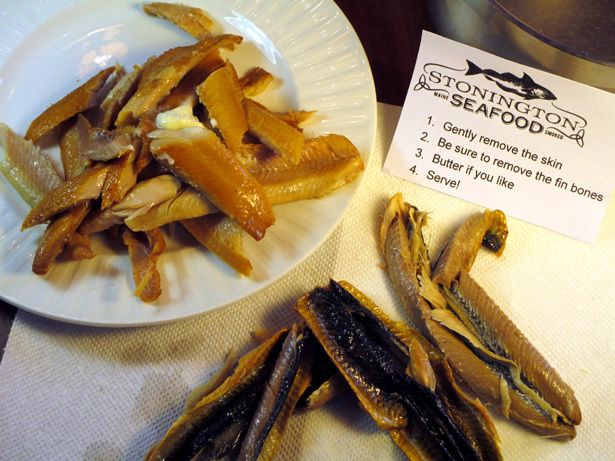 Kippers are a historic food tradition » since the 1600’s and earlier!